BORN AND BRED IS 20 TIMES DISTILLED IN SMALL BATCHES USING LOCAL IDAHO POTATOES AND GLACIAL WATER FROM THE GRAND TETON MOUNTAINS. EVERY BATCH IS HAND CRAFTED AND CHARCOAL-FILTERED FOR A DAMN SMOOTH TASTE. Before there was a bottle, a label or a Jackalope, Born and Bred was an experiment embarked upon by Channing Tatum and Jack Maloney. Their thought was that contrary to popular belief, the best vodka in the world was created here in the United States. Their goal was to find the finest clear spirit America had to offer. They searched far and wide and ultimately found themselves at home with the family owned and operated Grand Teton Distillery in Driggs, ID. Founded in 2011, the Grand Teton Distillery has received numerous accolades for their spirits. Master Distiller John Boczar uses local Idaho potatoes and crystal water from the Grand Teton mountains to craft a full bodied, flavorful vodka. Born and Bred compliments any cocktail or simply pour some over ice and enjoy. We know the world doesn’t need another vodka. And it certainly doesn’t need another celebrity vodka. But it does need a different one, a better one. We put forth a product that’s tailor made for nights out and nights in. We make it in small batches to stand up to the overly fancy imports. It’s a damn smooth spirit and we’d be happy to share B&B with you any night of the week. To launch the partnership between Saucey and the Jakalope in California, Chan delivered Born and Bred bottles to unsuspecting customers. We are proud to introduce a collaboration between Giftagram and the Jackalope in honor of your greatest local tales. When camaraderie meets adventure and fables become legends, there lies the spirit of Born and Bred. In every tall tale, there’s an ounce of truth. And in the gathering of friends, there’s a healthy cup of mischief. 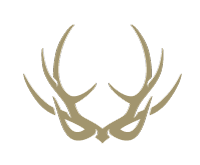 Born and Bred, The Jumping Jackalope, and The Antler Mask are registered trademarks of Born and Bred ©2016 BORN AND BRED® VODKA. 40% ALC./VOL. (80 PROOF). PLEASE DRINK BORN AND BRED VODKA RESPONSIBLY.